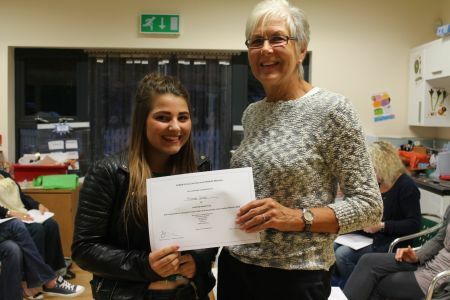 Cockfield Netball Club has been established for over 50 years. In the first few years matches were played on the Great Green on a grass court, later with the development of the hard court at Cockfield Primary School matches were transferred to the school court. 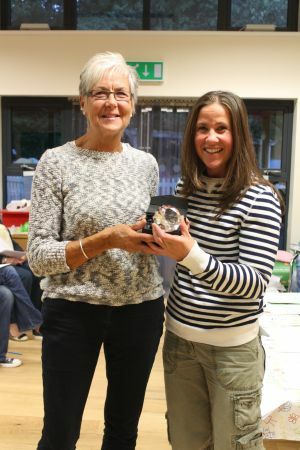 Cockfield have had a very successful club over the years, competing in the West Suffolk Netball League. Cockfield currently run 8 teams, and still compete in the West Suffolk Netball League. Matches are now organised by the League on a Central Venue system, played at Thurston Community College and County Upper School in Bury St Edmunds. Cockfield A team & B team 2nd Division, C team 4th Division, D & E teams in 6th Division. 3 Juniors teams playing in Zena Junior League. The Junior League is an U14 league set up for junior players first step into club netball. Training and Coaching sessions are held at Thurston Community College on a Tuesday evening. (times vary depending on age and ability). Training sessions are open to children from Years 4 upwards by Level 2 Netball Coach. 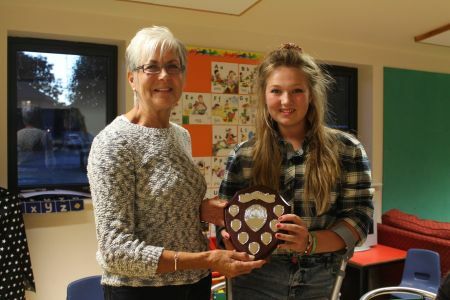 The netball club is going from strength to strength. We are about to start our summer season with 5 adult teams, 2 X U12 and 2 X U14 teams playing in the west Suffolk netball league. Hewicks Haulage have continued to support and sponsored our A team this season, having sponsored our junior teams last year. We continue to train through the winter at Thurston Community inside court Tuesday’s for juniors year 4 – year 9. Thursday’s year 10 and above. 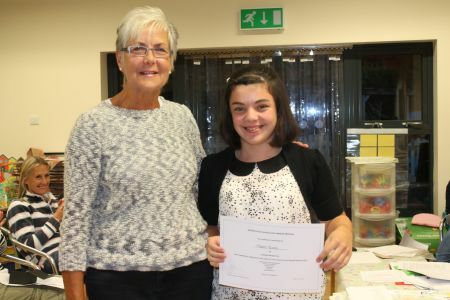 The pictures are from the end of season presentation. The awards given consist of Player’s Player of the Year for each team and Coaches Player of the Year for each junior team. 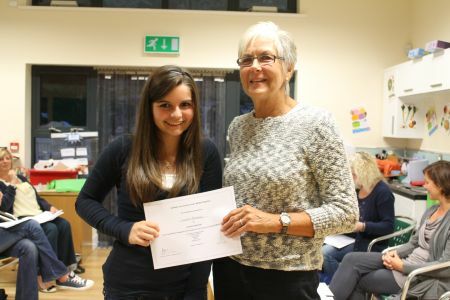 Also, some awards were given to the girls for their help within the club. 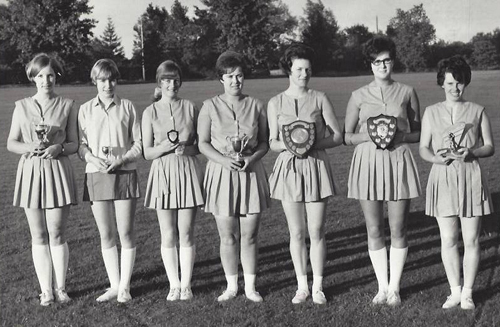 Cockfield Netball Club was formed in 1952 and went as Cockfield Girls Sports Club. The first committee meeting was at Palmer’s farm, being the home of Mary Balmer, nee Goodchild, at that time there were not many teams locally. We used to cycle over to Rougham and to Bury St Edmunds to play against Harvey’s Clothing Factory, Robert Bobie’s Jubilee Old Girls and Bury Youth Club. After playing the Bury teams we used to call at the West End Fish and Chip Shop and treat ourselves, then we used to stop half way home and sit on the bank at the top of the hill at Bradfield Combust and enjoy our well deserved supper. Those were the days!. 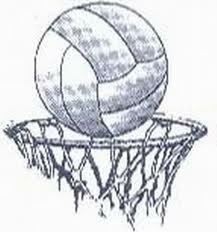 In 1957 the West Suffolk Netball League was formed, by this time we had an A and B team, the A being in division 1, the B in division 2. We used to play our home games at that time on Great Green so had to mark the pitch out before each game, we were now playing teams from Thetford, Brandon, Hockwold and Haverhill all of which meant we had to hire Stan Scott’s transport (before we had cars of our own). We were asked to represent West Suffolk in the annual Youth Clubs Tournament in Regent’s Park we did this for, I believe, 5 years. The first year we won our section beating Kent 13:3, Bucks 13:4 and Hearts 8:4. In the final we had to play Hampshire which we lost 4:5 so we were very pleased with ourselves. In the 60’s we had the honour to play against the Australian touring team, of course we were thrashed! Two years later we played the New Zealand team, again losing heavily but these games were something we would never forget. For quite a few years we were the top team in the league and in 1968 we won the league and all 6 tournaments , as you will see from the photo we had a trophy for each team member being Margaret Arbin nee Muir, Judy Sore nee Lilley, Ann Golding, Jean Waterson nee Scott, Ann Green nee Fayers, Suzanne Brinkley nee Scott and June Pettit nee Fayers. As well as playing netball the club did other activities, we used to perform concerts in the old village hall produced and mostly written by Luanne Stockwell, these were great fun and attracted large audiences. 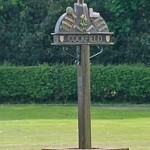 It is great to think that Cockfield Netball Club is still being run successfully by Lindsee, unfortunately not being played in Cockfield now but it is easier having a central venue, not so much travelling, given the miles we used to travel going right down into Norfolk.